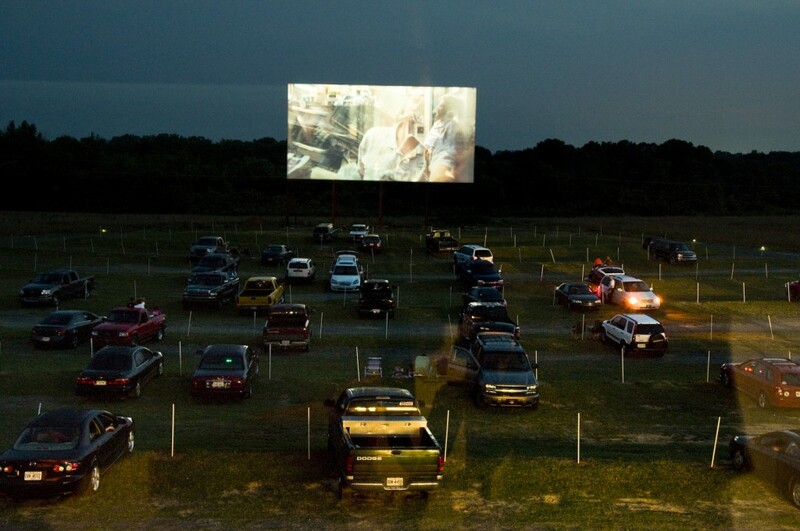 Please enjoy our list of all the drive-in movie theaters in Alabama. Yep, you read that right. 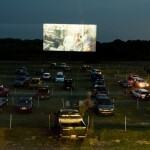 The 411 Twin Drive In forgoes the traditional popcorn and offers its own barbecued concessions. It is open Friday to Sunday all year, and seven days per week from Memorial Day to Labor Day. 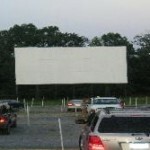 The Argo Drive-In is in Trussville, Alabama, just northeast of Birmingham. Patrons are welcome to bring folding chairs and their own food and drinks. Children are especially welcome. They are a part of the same chain as the Harpersville Drive-In and the Starlite-Anniston. 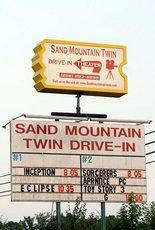 The Blue Moon Drive In Theater is open weekends, showing first-run movies. They have two screens, and will sometimes show the same film twice. They are popular and sell out quickly, so you should call ahead. Their website is a little broken, so you will probably be best off calling them directly about show times. Showtimes: In theory, they should be on the website, but you should call. 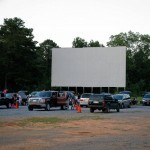 The Cinemagic Drive In Theatre, outside Athens, Alabama, has five separate screens with separate matinee and evening showings on each, for a total of ten shows. Shows are changed weekly. The Cinemagic Theatre has a unique rule about “R”-rated movies, in which only parents can bring minors to “R”-rated films, so an 18-year-old cannot bring his younger friends. 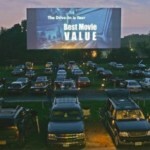 The Continental Drive In is a part of small chain of Continental Movie Theaters and is its only drive-in. They have a single screen and only have evening showings. They are only open on weekends, from Friday to Sunday. 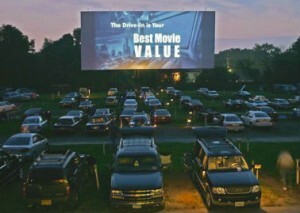 Harpersville drive-in offers two screens, each of which shows one first-run film every night from Friday to Monday. They are a part of the same chain as the Argo Drive-In and the Starlight-Anniston. 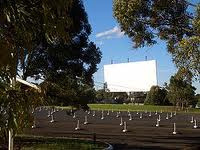 The Henegar Drive-In Theater combines a grill with the standard concessions, offering burgers, cheese fries and patty melts. They show two features per night on a single screen from Friday to Sunday. They are open year round. King Drive In was founded in 1949 and named after its original founder, L. Morgan King. 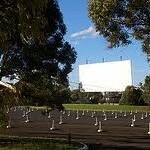 The drive in is open from spring to fall and plays two or three movies per evening on its single screen. 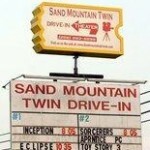 Sand Mountain Twin Drive-In shows four movies per evening, two on each of its two separate screens. They have a full concession stand and charge by the carload rather than by the person. 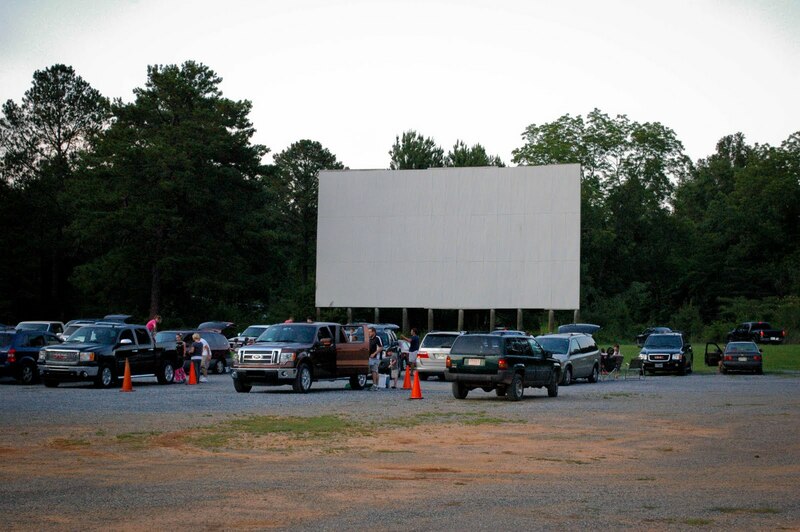 Starlite-Anniston is a single-screen drive-in theater open Friday through Sunday, with a first run movie every day at 7:30 p.m. They are a part of the same chain as the Argo Drive-In and the Harpersville Drive-In.